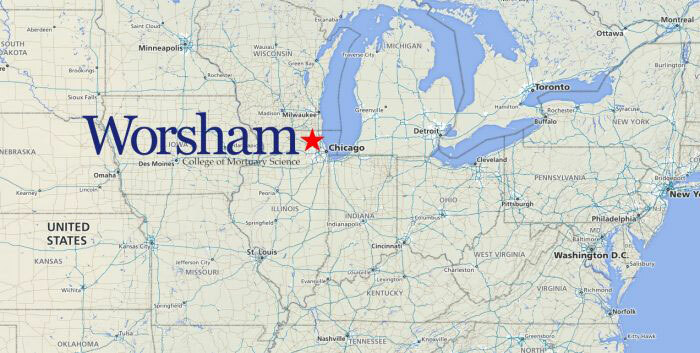 Worsham College of Mortuary Science is housed in a state-of-the-art facility located in Wheeling, Illinois, a northwest suburb, twenty-five minutes from Chicago. The college’s location, in one of the nation’s great metropolitan centers, affords the Worsham student a variety of educational and recreational opportunities that few locations can match. A multitude of cultural experiences may be explored within the confines of the Art Institute, the Museum of Science and Industry, the Field Museum, in addition to numerous theater productions, concerts and ballet. Chicago is well known for its world class restaurants and music. The wide array of activities regularly occurring around the area, students never need to look far for something fun to do. Official site of city office. Information on art, attractions, community affairs, museums, festivals, restaurants, shopping, and theatre. The official visitor’s guide with information on accommodations, things to do, restaurants, getting around, and meeting planners.